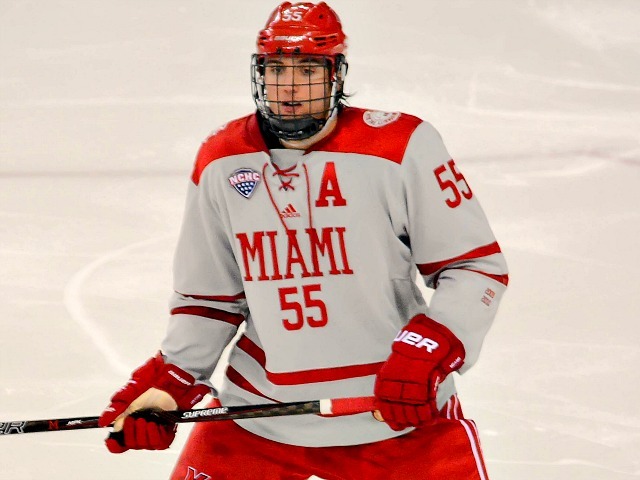 OXFORD, Ohio – After 239 days, Miami finally found itself in the win column on home ice. Including this one, Ryan Larkin turned 33 shots aside to lead Miami (photo by Cathy Lachmann/BoB). 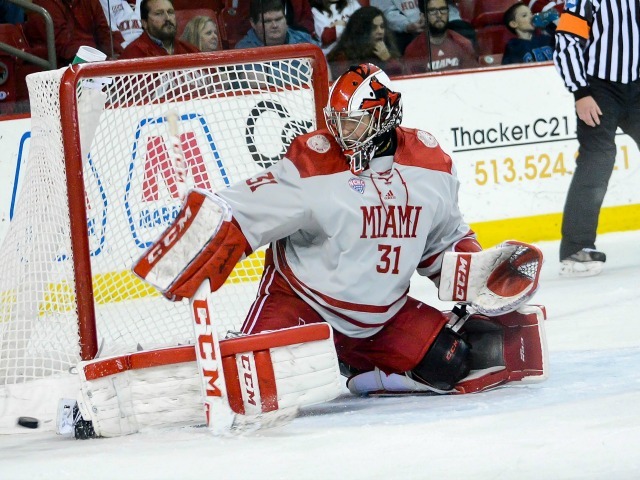 After an excruciatingly long off-season and a pair of ties in their first two games at Cady Arena, the RedHawks shut out Maine, 5-0 on 33 saves by Ryan Larkin on Saturday to wrap up a 1-0-1 weekend. The RedHawks’ last win in this building was on Feb. 27 vs. Colorado College, also a shutout. Miami’s last three home wins have all come by blankings. Miami thought it had the lead in the first period on a bad-angle rip by Carson Meyer, but the Black Bears challenged and the play was ruled off-side. But the next one counted, as Anthony Louis and Josh Melnick played give-and-go in the offensive zone in the first period, with Melnick dropping a pass to Louis in the slot for a wrister that beat Rob McGovern 3:42 into the second period. Just 25 seconds later and six seconds into a power play, a wrist shot by defenseman Louie Belpedio beat McGovern on the glove side to make it 2-0. With 9:42 left in the middle stanza, Belpedio struck again, this time whipping one just under the crossbar from the top of the faceoff circle to extend the RedHawks’ lead to three. An offensive-zone feed off the transition by Carson Meyer set up a 2-on-0, with Kiefer Sherwood sliding one across to blueliner Scott Dornbrock for a point-blank blast to run it to 4-0 with 13:19 left in regulation, ending McGovern’s night. Sherwood capped off the scoring with a close-up one-time rip of his own on a centering pass from Karch Bachman feed from the side of the cage. Sherwood had set up the chance with a stretch pass along the boards and then skated into the slot for the goal with 10:46 left. Sherwood finished with a goal and two assists for a five-point weekend, and Meyer picked up three helpers, as both recorded career highs with three points. Belpedio’s two-goal game was the first of his career, and Louis ended the night with a goal and an assist, giving him three markers and one helper in two games. Ryan Larkin’s shutout was the first of his career. He made 24 stops in the final two periods. After losing its season opener in Providence, MU is unbeaten in its last four (2-0-2). Miami will host Bowling Green in a two-game set next weekend. The RedHawks swept the Falcons in a home-and-home season series in 2015-16. 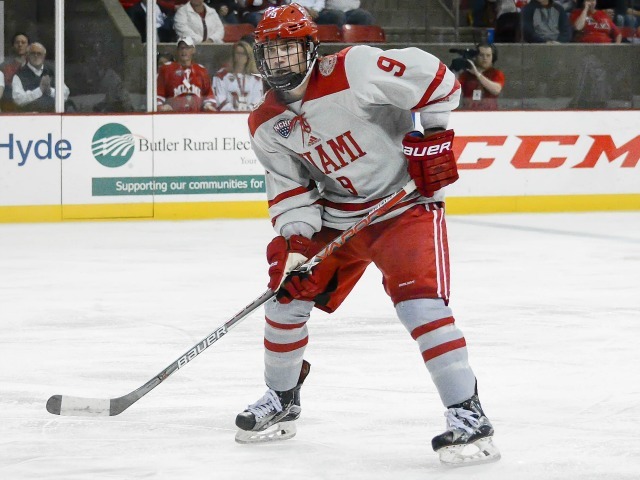 OXFORD, Ohio – Miami trailed on three occasions Friday but thanks to the second goal of the night by Louis late in the third period, the RedHawks salvaged a tie. Miami’s Anthony Louis (95) is congratulated by linemates Josh Melnick (37) and Carson Meyer (18) after scoring the game-tying goal (photo by Cathy Lachmann/BoB). 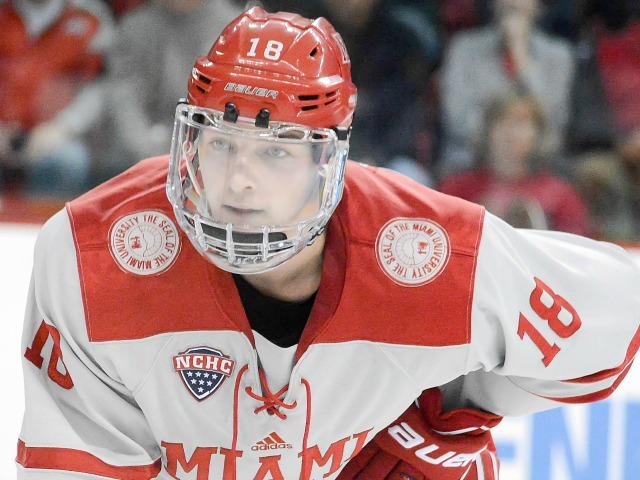 Miami and Maine skated to a 3-3 draw at Cady Arena in the first-ever meeting between these teams on MU’s campus after the RedHawks fell behind by one goal in all three periods but generated the equalizer each time. The Black Bears (3-1-1) took the lead 5:36 into the first period when Peter Housakos stole the puck from Miami defenseman Chaz Switzer, skated in alone on RedHawks goalie Ryan Larkin from the side of the net and backhanded it in. Miami (1-1-2) tied it nearly a full period later, as Kiefer Sherwood slid a pass from behind the net to a wide-open Grant Hutton, who stuffed in under goalie Rob McGovern 5:29 into the middle stanza. Just 1:23 later, Maine’s Mitchell Fossier tipped a blue line wrister by Mark Hamilton past Larkin to give the Black Bears a 2-1 lead. 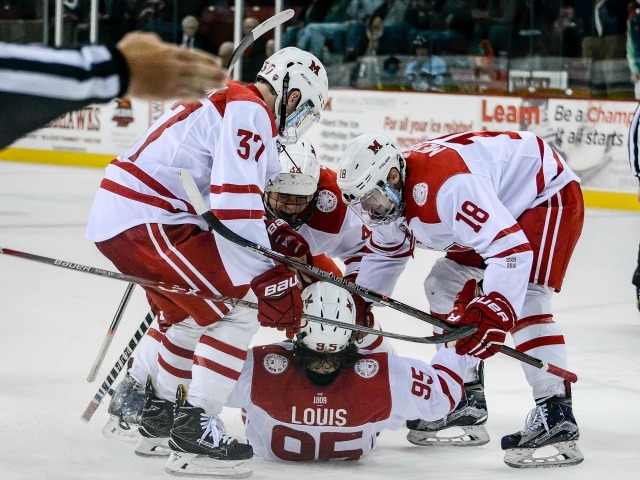 The RedHawks pulled even again when Josh Melnick eluded a defender along the boards and found Anthony Louis in the high slot. Louis one-timed it, and the blast was partially stopped by McGovern but trickled across the goal line with 6:59 remaining in that frame. Hutton lost the puck deep in his own end, and Dane Gibson dropped a pass to Cedric Lacroix, who wired a shot short side just under a crossbar with 6:26 left in regulation, giving Maine a 3-2 lead. A power play set up Louis’ tying goal, which he scored after penetrating to the middle of the faceoff circle and beating McGovney on the glove side. Miami was on the power play for the closing seconds of regulation and the first minute and a half of overtime but could not convert. The RedHawks finished 1-for-8 on the power play while going perfect on three penalty kills. Louis’ goals were his first two of the season, and Hutton notched his second. The duo is now tied for the team lead in markers. Sherwood picked up a pair of assists, giving him the outright team lead in assists (4) and points (5). The teams played a 3-on-3 demonstration after the game, during which neither team scored, and that was followed by a shootout, won by Maine. Miami and the Black Bears wrap up their weekend series at 7:05 p.m. on Saturday. 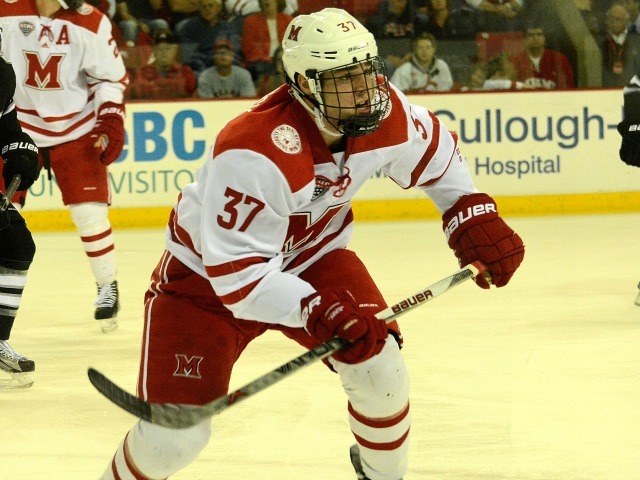 WHO: Maine Black Bears (3-1) at Miami RedHawks (1-1-1). NOTES: Believe it or not, this is Maine’s first-ever trip to Oxford. These teams have met six times, with the Black Bears winning the first five and Miami earning a 4-1 victory in a neutral-site tournament in Florida six years ago. Once a college hockey power, Maine has been a Hockey East doormat for several years, although the Black Bears are off to a 3-1 start this season with a pair of wins over RPI and a split vs. Quinnipiac. Maine has played in some high-scoring games, finding the net 15 times while allowing nine goals. Mitchell Fossier has already scored five times – including all three of the Black Bears’ game winners – while picking up three assists, and Nolan Vesey has two goals and a team-best four helpers for six points. Rob McGovern has logged every minute in net for Maine, posting a 2.22 goals-against average and a .932 save percentage. 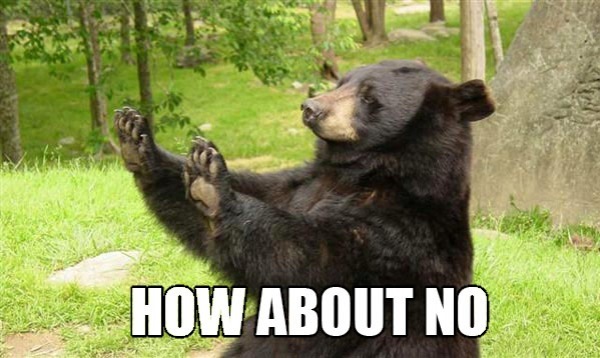 The Black Bears have gone to the power play 28 times – seven chances a game – and allowed 26 opportunities to their opponents. Maine has 62 penalty minutes in its four games.